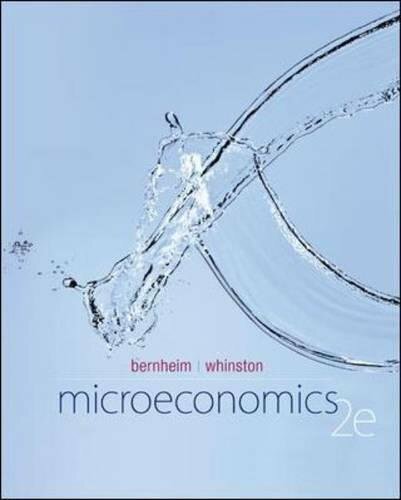 73375853 -Bernheim and Whinston’s Microeconomics 2nd edition is uniquely designed to appeal to a variety of student learning styles. The content focuses on core principles of the intermediate microeconomics course: individuals and firms making decisions, competitive markets, and market failures, and is delivered in a combination of print, digital, and mobile formats appropriate for today’s learner. McGraw-Hill’s adaptive learning component, LearnSmart, provides assignable modules that help students master core concepts in each chapter. Scan codes within the chapters give students mobile access to online resources including videos on how to solve In-Text Exercises. Extensive end-of-chapter material provides flexible options for both calculus and algebra-based courses. Bernheim and Whinston’s completely integrated and accessible learning experience teaches students to apply and engage with a wide range of quantitative problems for more success in the intermediate microeconomics course.